Face detection and alignment in unconstrained environment are challenging due to various poses, illuminations and occlusions. 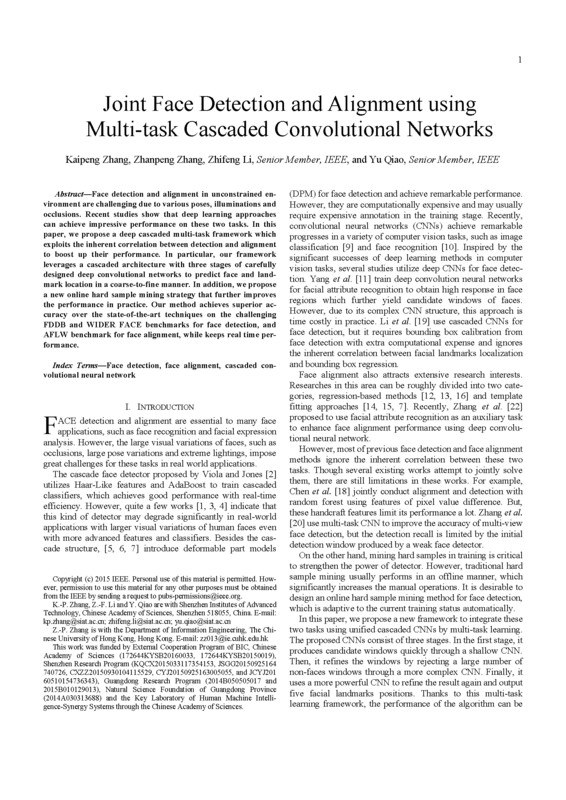 Recent studies show that deep learning approaches can achieve impressive performance on these two tasks. In this paper, we propose a deep cascaded multi-task framework which exploits the inherent correlation between detection and alignment to boost up their performance. In particular, our framework leverages a cascaded architecture with three stages of carefully designed deep convolutional networks to predict face and landmark location in a coarse-to-fine manner. In addition, we propose a new online hard sample mining strategy that further improves the performance in practice. 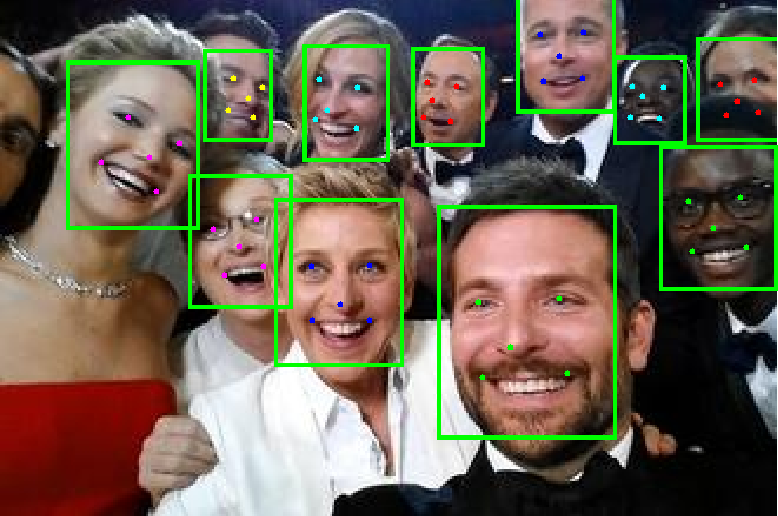 Our method achieves superior accuracy over the state-of-the-art techniques on the challenging FDDB and WIDER FACE benchmarks for face detection, and AFLW benchmark for face alignment, while keeps real time performance. We look forward your sharing of implementation with better runtime efficiency.